Day two of The Arnold/Nationals started early. Too early, in my view. The Board of Governors meeting, the national assembly of USAW, where members can listen to the organization’s current state of affairs and complain loudly voice their concerns, started at six in the morning. Not surprisingly, almost everyone in attendance at the meeting was a board member or worked for USAW. The only person from among the general membership was Lou Mangiaracina, who accompanied me to the meeting primarily because it guaranteed him a ride to the venue. Following the meeting we had a quick breakfast at the creatively named Chicken and Egg down in the convention center’s food court, and from there we headed back to the venue to watch the arm wrestling finals. 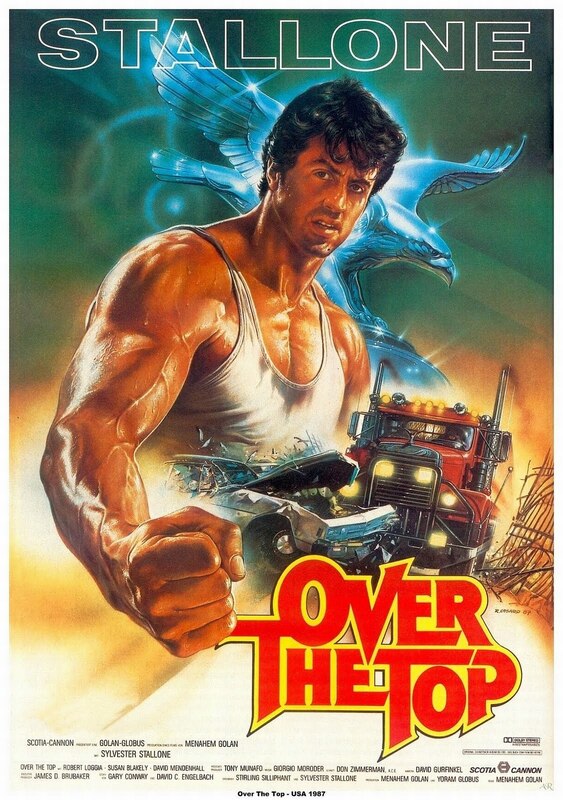 Like most people, my knowledge of arm wrestling started and ended with the extraordinary film Over the Top, which I’m pretty sure earned Sylvester Stallone an Oscar. Or at the very least it should have, since the level of depth and complexity he brings to the character of Lincoln Hawk is akin to that seen in Anthony Hopkin’s portrayal of Hannibal Lecter in Silence of the Lambs. widely agreed to be the most psychologically compelling portrayal of an arm wrestler in the history of cinema. But then I saw the documentary Pulling John, about legendary arm wrestler John Brzenk, famous for being undefeated in arm wrestling for about as long as people have had arms. His victories against people two and three times his size are almost as impressive and improbable as the fact that his last name starts with the consonants “brz”. (At the moment I’m aggressively lobbying Hasbro to make “Brzenk” a legal word in Scrabble, which would significantly aid my playing.) Improbable consonant clusters aside, Pulling John piqued my interest in the strange world of arm wrestling, and I was hoping I might bump into Brzenk or one of the documentary’s other characters. As it turned out I didn’t see Brzenk, or his monstrous Russian rival Alexey Voevoda–who I’m pretty sure is part mountain–although I did see the rising star Travis Bagent. The arm wrestling itself was not quite as exciting as I had hoped, although it was still a good show. For one thing there were far fewer Over the Top moments involving special hat turning techniques than I was anticipating. Much of the competition didn’t even involve actual arm wrestling, but was instead a sort of jockeying for position before the match even started. The two competitors would square up and then spend the better part of five minutes adjusting their fingers and grips and generally doing anything but arm wrestling. The main referee at this point would be checking the grips, trying to straighten arms, wrists, and trying to make sure the contestants didn’t start prematurely. Only after this whole dance of hands had settled would the match begin. At this point you think you’re about to see some real action, and occasionally you do, but more often than not you also see various fouls committed by the competitors, which of course results in the match being stopped. From there the entire process must begin again. As exciting as the actual wrestling portion is it represents only a fraction of the competition time (making it not dissimilar from weightlifting, in that respect). 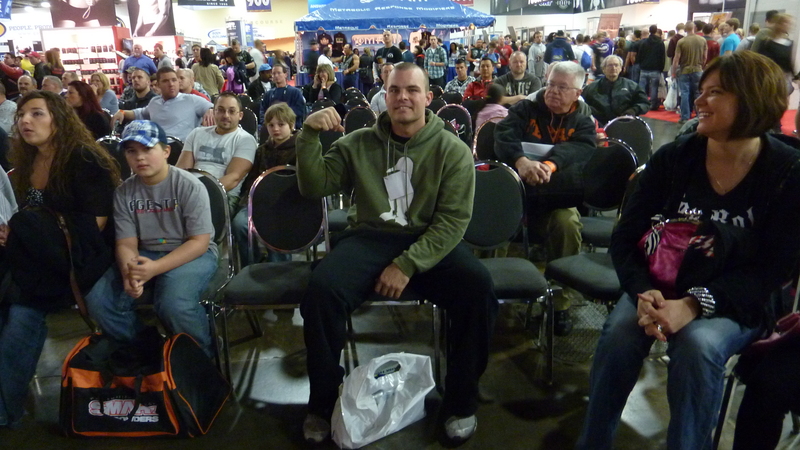 The arm wrestling spectacle was located on the main stage in the main hall, which meant we had yet another chance to walk through the manic frenzy of the Expo floor. 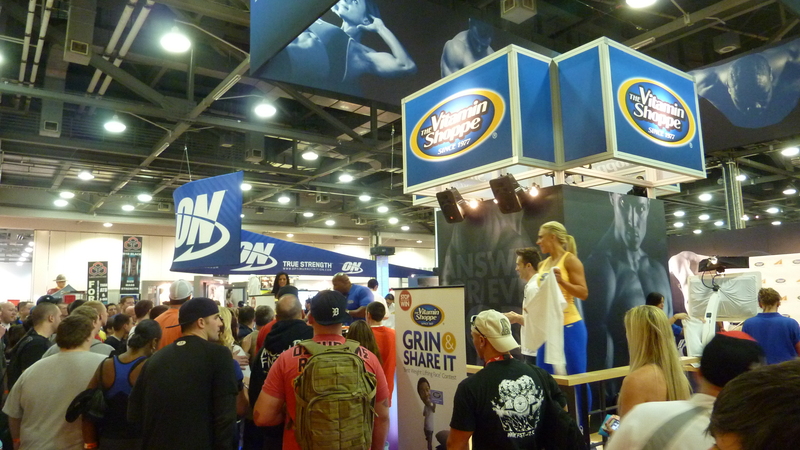 Yes, the Expo floor is the beating, unnaturally swollen heart of The Arnold. This is where you get to see all manner of human beings, from the pasty, stupefied Ohioans not entirely sure what sort of alien species has landed in the middle of their state, to the gigantic and tanned behemoths–male and female–who have come for the bodybuilding and strength competitions. step right up! 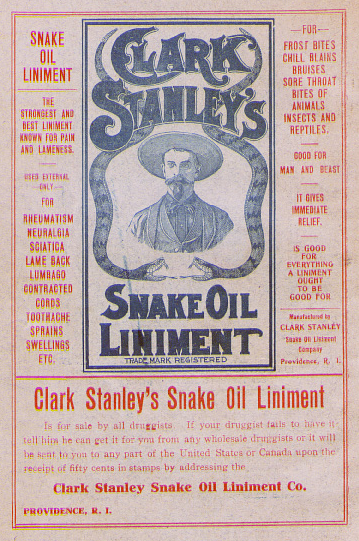 right this way for our new liniment to cure all that ails you! This is also where the multitudes of vendors are, and where they are all doing their best to hawk their wares on an unsuspecting and largely uneducated public. 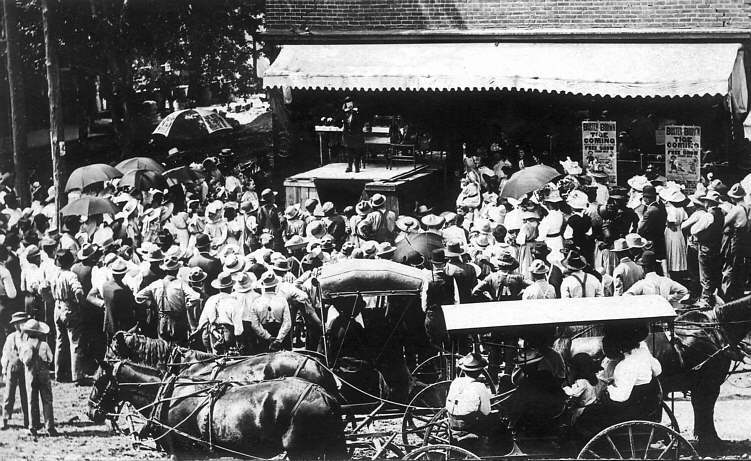 These are the direct descendants of the medicine show charlatans and snake-oil sellers from the days of yore; only the context and details have changed. What’s also changed is the sheer number of them: over 700 at this year’s Expo. Seven hundred companies, all hoping to sell something. the arnold expo, circa 1870. It is nearly impossible to wander around this scene for any appreciable length of time without coming face to face with the specter of anabolic steroids and other performance-enhancing drugs. Anyone wh0’s been around strength sports long enough knows there are limits to what the normal human body can achieve in terms of size or strength on diet and exercise and supplements alone. True, there are outliers, people born with abilities that border on the supernatural, and it’s unfair to assume anything of any one particular person on the basis of appearance. But the belief that all these swollen and acne-scarred monsters are nothing more than genetic freaks who simply train hard and eat their Wheaties is absurd. You can almost feel the waves of artificial testosterone wafting through the Expo hall. Apart from the actual use of anabolic steroids–of which I suspect there is a great deal–this is quite clearly a culture obsessed with such products, and with their perceived (and real) benefits, even if such use is ostensibly frowned upon. The promise of many of the Expo vendors’ products–but admittedly not all–is to provide the kind of results you can get with anabolic steroids and their kin. Most of them are likely to be largely or totally ineffective; a few are probably harmful. Others are simply repackaged and rebranded formulations of products known to work, such as protein or creatine. There is an interesting interplay going on here, between supplements deemed “okay”–i.e., supplements that are not steroids, even though their benefits are supposed to be steroid-like–and “real” supplements, i.e., performance-enhancing drugs. By which I mean that many of the men and women engaged in the act of snake-oil promotion appear to be benefiting from things other than the worthless products they’re selling. Over the years there have been a few scandals involving supplement companies putting questionable (i.e., illegal) substances into their early batches of a new product, in this way ensuring a good response from new users and generating good publicity. After the hype is built, the banned substance is removed from the formulation; reputation alone is enough to carry the sales from that point forward. How different is this from employing professional or quasi-professional bodybuilders and strongmen to stand around shouting about the benefits of some “new and improved” protein formula, or having these people pass out free samples? It’s not the exact same thing, but the underlying sentiments seem related enough to be branches of one very tangled tree. This scene and the accompanying Olympic sports at The Arnold necessarily raise the issue of our attitudes toward performance-enhancing drugs. Olympic athletes are among the most tested in the world, perhaps the most tested. The list of substances that are tested for by anti-doping organizations like USADA and WADA, and that can result in a suspension, is staggering, covering everything from anabolic steroids to cold remedies to marijuana (depending on the sport). Most of these substances provide little or no benefit to performance; many of them would even be considered detrimental to performance. Yet it is becoming clear that our laws and policies on drugs and supplements are based more on money and misinformation than on anything even remotely resembling scientific rigor. The absurdity of the whole situation is made even more evident if you consider that many drugs of known efficacy with regard to performance–things like caffeine and creatine–are perfectly legitimate in sports and in commercial or personal endeavors. I’ve known plenty of athletes who railed against “steroid” use, but who had no problem ingesting anything and everything else they could get their hands on, either in an effort to gain a competitive advantage or simply in the pursuit of altered states of consciousness. The cynic in me wonders if this confused attitude toward drugs and supplements, in which certain drugs are okay while others are taboo, is due to nothing more than money and the need for sustained Western superiority in athletic endeavors. The supplement companies, it would seem to me, have a vested interest in ensuring that so-called real performance-enhancing drugs–anabolic steroids and their ilk–are never made readily available to the public. If that were the case it is likely the nutrition industry would experience a catastrophic drop in business, as people would flock to doctors or pharmacists for products of known value rather than to overpriced powders with flashy packaging and false advertising. Furthermore, the nutritional industry, like so many capitalistic ventures, thrives on creating products that are supposedly new and improved. Anyone who studies nutrition knows that the basics of supplementation–high quality protein, maybe some creatine and glutamine, a few other supplements–don’t change all that drastically from year to year. 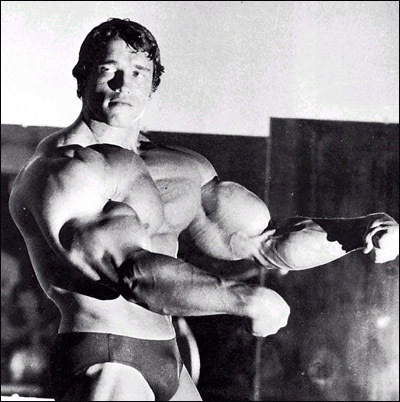 Look at pictures of Arnold way back in the 1970s or 80s and you’ll see that he did just fine without any of the garbage being sold at his Expo this year. hard to believe he got this big without using "n.o.-xplode"
Furthermore, many of the best performance-enhancing drugs have remained unchanged for decades. How can you create increased hype around products that aren’t new and improved every year? The nutritional supplement industry in this country is simply huge, amounting to billions and billions of dollars (one source I saw pinned the number of consumer sales over $20 billion a year). No doubt all those companies, from the big hitters to the small start-ups involving guys packing pills and filling bottles in garages, have a vested interest in making sure two things stay out of the hands of the general public: (1) legitimate drugs, and (2) hard science. From an international sporting perspective it’s tempting to see such aggressive condemnation of so many drugs as part of a sustained effort–originating in the beginning of the modern Olympics–at guaranteeing that ideas of racial or national superiority are maintained. When the modern Olympic movement was initiated the idea of amateurism was so strong that even practicing or training was considered to be cheating; the idea was that proper gentlemen, meaning gentlemen of a certain social class and status, could not spend their days in practice. Those who could practice were people from the wrong classes, and therefore should not be allowed to compete. The ideal of the amateur, aristocratic gentleman athlete has since largely disappeared, but it’s possible to see remnants of it throughout the twentieth century. 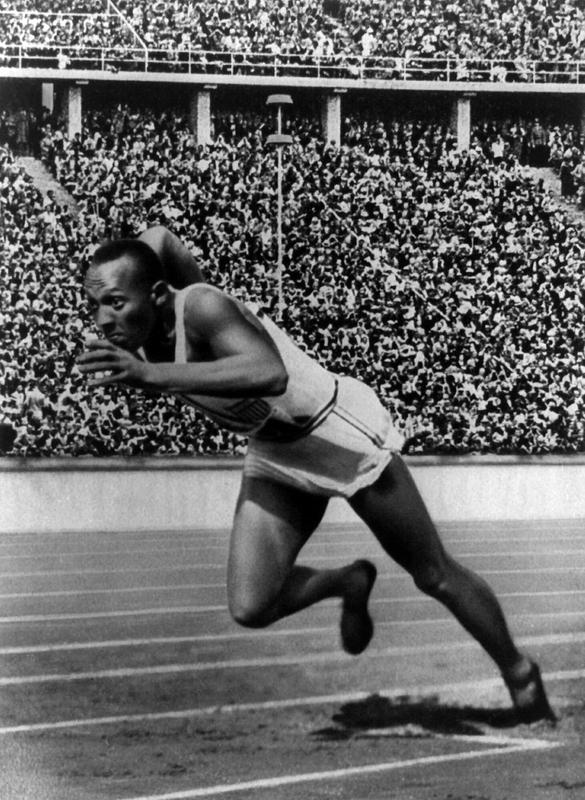 The 1936 Olympics, in which the Germans hoped to prove Aryan racial superiority, is only the most famous example. Though it’s long been out of fashion to discriminate based on race–at least publicly–it’s still very much in vogue to discriminate based on money or social status. Indeed, Western nations seem to thrive on the premise of using money to guarantee power. It’s thus a problem from a sporting perspective when cheap and widely available substances like anabolic steroids allow poorer countries or even Third-World countries to compete on the same level as places like the US or Russia, where millions of dollars can be spent on athletes and “designer drugs”. Back in 2008 an economist in Australia did some math and figured that each gold medal won by his country cost an average of $40 million dollars. (http://www.crikey.com.au/2008/08/08/40-million-its-how-much-each-gold-medal-costs-us/; also see http://www.sportsscientists.com/2008/08/beijing-olympic-medal-price.html) That cost varies quite a bit from sport to sport and country to country, and plenty of countries (e.g., Cuba, Bulgaria) have gotten by spending far less for their medals, but it’s no coincidence that the big spenders–whether via state-sponsored programs or commercial ventures–are the ones taking home the most medals. In light of this, any idea of a level playing field, where a country like Cameroon–whose entire GDP is around the amount we spend on supplements in the US–is asked to compete with the juggernauts of Russia or China or the US is beyond absurd. But performance-enhancing drugs have the potentially damaging effect of making that disparity less absurd, at least to a degree. Dianabol (Methandrostenolone) has been around since the 1960s, and by now it’s probably cheaper to make than almost every protein powder on the market. It’s certainly a lot cheaper than the so-called “designer drugs” that are currently in vogue around the world in places (like the US) that can afford them. Imagine the embarrassment, though, if spending billions of dollars on sports didn’t guarantee medals? Cheap performance-enhancing drugs have the potential to put poor athletes who work hard on par with the First World descendants of the “aristocratic gentlemen”, who generally have lifelong access to things like healthcare, clean water, abundant or over-abundant food, top quality doctors, sports medicine, recuperative therapies, stable living situations, legions of coaches, and on and on. This is not to say training for Olympic sports in the First World is easy (just ask any Olympic Weightlifter in America how hard it is to get support); but it’s certainly a lot easier to train when you haven’t had to deal with things like childhood malnutrition, devastating poverty, daily struggles to find clean water, or having your country ravaged by civil war. Of course, this is not to say we should all pump ourselves full of dangerous chemicals and become walking science experiments (although that’s more or less what can happen if you’re not careful at the Expo). There are legitimate concerns with all drugs, and the solution is not to let countries dope their athletes to the gills and then turn them loose. But the current situation, in both the Olympic sphere and the commercial realm, is not helping anyone except the people who have written or helped to write the rules, i.e., the anti-doping agencies and the supplement makers. We’re long overdue at this point for a critical reevaluation of how we approach drugs and supplements. After the testosterone-fueled madness of the Expo, it was perhaps a good thing that we left the convention center entirely for lunch. I love the Expo, and I find the madness intoxicating and fascinating, but there’s only so much I can stand in one day. 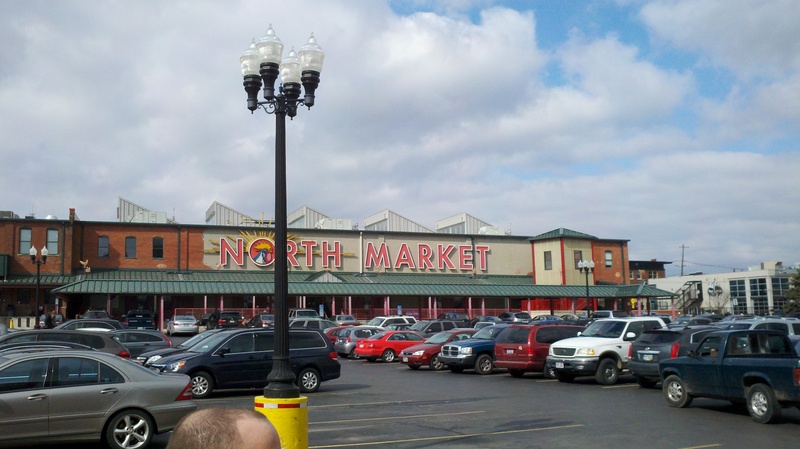 Instead of going to the food court, where the awful smell of Subway clots the air like steam in a Turkish bath, we made the short walk over to the fantastic North Market. hat tip to anyone who can recognize the top of this head. It was a welcome relief from the manic crowds of The Arnold, and it offered a different take on nutrition, one based more on real food than supplements (although food itself, and its status in this country, is no easy matter). Enough of this rambling. I’m not even entirely sure how I got here. It may be the several cups of coffee I’ve consumed in the past hour, perhaps in an effort to recreate the feelings on that second day of The Arnold. When the middle of the day hit it was clear that waking up for a 6am meeting was taking its toll. Fortunately Lou discovered a box of caffeine-spiked chocolates in the training room. He managed to put away six or seven of them before any of us noticed the warning on the package not to consume more than one every four hours. I was curious to see if he would survive the ordeal, and every time he disappeared from sight for more than a few minutes I wondered if he’d had a heart attack or simply sprouted wings and flown away. But apart from some excessive sweating he seemed to come through just fine, although he tells me he is now in the habit of keeping half his brain awake while sleeping, like a dolphin. This entry was posted in food, olympic weightlifting, weightlifting and tagged arnold expo, arnold sports festival, nutritional supplements, olympic weightlifting, performance-enhancing drugs, weightlifting. Bookmark the permalink.